It transcodes the DVD movies to MPEG-2 files acceptable to the majority of DVD players. It provides the must-have DVD codecs to your certain DVD players that lack such codec pack. It unlocks the copyright protections from DVD and converts DVD to MP4, MOV, MKV, etc. digital formats. Generally, when you purchase a DVD player for your PC or Mac, it comes along with a DVD decoding program. But chances are that you buy a second-hand computer or a renovated one without DVD decrypter. Then what is your plan? 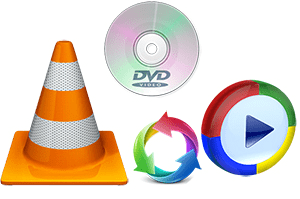 Decode DVD to MPEG-2 files with main/full title; backup DVD to ISO image or MKV file with 1:1 original quality for smooth playback on Mac, QT, VLC, 5KP. Tackle all the DVD protection troubles including wrong title from 99-title DVDs, Disney 60GB oversized, distorted picture, half crash and more. Intel QSV tech makes it possible to take 5 mins to transcode DVD to MP4 MOV H264 HEVC MKV AVI FLV, at 250-320 FPS for iPhone iPad Android Game Consoles. Decrypt all DVDs, protected Disney DVDs, 99-title DVDs, workout DVDs, AV (Japanese) DVDs, Lionsgate DVD, damaged/unplayable DVDs, homemade DVDs, etc. 1 Load DVD Movies or DVD Folder. Free download DVD decoder on Mac and run it. Click ""DVD Disc" or "DVD Path" button to import the DVD movie you want to decrypt to MPEG-2 file. 2 Choose MPEG-2 file as Output format. On the pop-up window, pick out "Main Title Content Copy" or "Full Title Copy" from "DVD Backup" profile to make a digital copy of DVD to MPEG-2 file. 3 Select the Output Folder. Click the "Browse" button to choose the destination folder for output files. Click "RUN" and this mac DVD ripper will start to decrypt and copy DVD on Mac. With Intel QSV and multi-core CPU (8) utility, it only takes you 5 mins to accomplish the DVD decoding mission as long as your computer configuration is powerful enough. 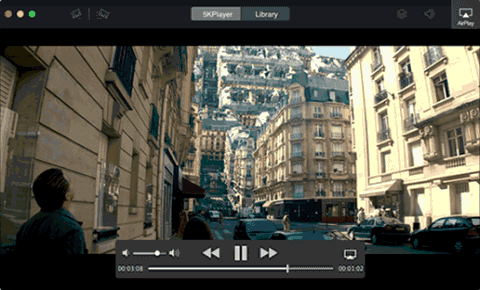 After DVD decoding on Mac, you can play DVD movies on Mac computer or transfer DVD movies to iPhone iPad mobile devices. If you're itching to watch DVD movies on iPhone iPad during the trip or on the fly, MacX MediaTrans can be a great aid, letting you transfer DVD movies from Mac to iPhone iPad iPod with any modle at full speed. Even though your DVD movies are formated with MKV AVI FLV VOB, this versatile DVD movie transfer can still successfully sync DVD movies to iOS devices without any external help (built-in with video conversion feature). Notice: We only advocates using this DVD converter to decode DVDs under the concept of Fair Use and does not encourage any illegal reproduction or distribution of copyrighted content. Please abide by the local DVD copyright law before doing it. For some older MacBook or iMac, there is a DVD drive port for you to insert DVD disc and directly playback DVD on Mac computer. And if you do have an older MacBook or iMac, then you can consider to decode DVD and play movies on Mac without DVD decoder, but a solid DVD player. The recommendable Mac DVD player is the world-renowned 5KPlayer, which enables you to free play DVD on MacBook or iMac without any codec pack installation or DVD decoding stuff. Any DVD disc, protected by CSS, Region Code 1-6, UOPs, Disney or Sony, etc., can be playable with this ultra HD video player. Step 1: Free download and launch this Mac free DVD player. Step 2: Import the DVD disc by double clicks the file to play or find out the DVD files and then right click to choose "Open with" → 5KPlayer. Tips: during the DVD movie playback, if you are interested in the DVD movie soundtracks, you can also apply this DVD player freeware to free download movie soundtracks from YouTube, Vimeo, Vevo, Soundcloud, etc. 300+ music video sites in batch with splitting speed. Compared with Mac users, obviously Windows users have more choices on this point. See there is even a free DVD decrypter for Windows PC users. Now let's have a brief look at those amazing DVD decoding software for Windows. Here introduces a 100% free DVD transcoder for Windows users, if not for all, named DVD Decoder Pack. It's designed as a plug-in for Windows Media Player when it comes to decode DVD movies. The key features of this DVD decoder lie in three aspects: codec installation; drive and audio-video synchronization. The first and the last one might be much easier for you to understand. So I have no need to explain too much. I just elaborate "drive" for you. This feature means the free DVD decrypter itself has a built-in player that supports playing videos in MPEG-2 and 5.1-channel Dolby Digital files, even a wide selection of VGA cards included. Only one deficiency of this free DVD converter is that it's only compatible with Windows XP, Windows Vista, Windows 2000, not all the Windows version. Windows based Windows Media Player needs a DVD decoder to accomplish DVD decryption and playback task while there is still another top DVD player able to decode and play DVD without DVD decrypter's help on all the Windows (10/8/7) versions. That is VLC media player. As the world's famous free DVD player, VLC is definitely worth a try. It works seamlessly to decode DVD for playback with MPEG-2 files, DVD disc, VOB files, Video_TS folder, as well as video formats, incl. MP4, MOV, MKV, FLV, AVI, etc. without any DVD decoder plug-ins needed. If you encounter the VLC video subtitles not sync problem or video audio out of sync, calm down, here are the solutions. Hanker for DVD copy software for Mac to make backup copies of your DVD collection? The roundup of top 3 DVD copiers for Mac (10.12 included) will illustrate various copy options, pros and cons before you free download it and copy DVD on your Mac OS X. 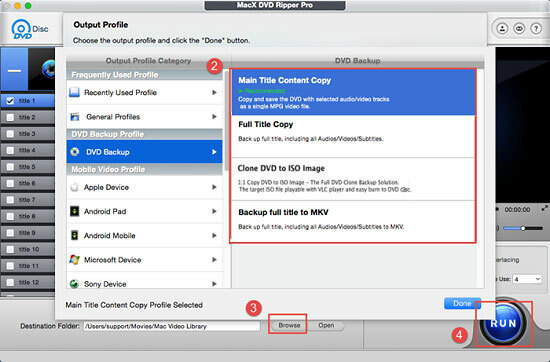 This guide shares a professional DVD decoder for Mac that is able to rip and decode protected DVD on Mac to MP4, FLV, AVI, MOV, etc for playback on iPhone, iPad and Android on the move. 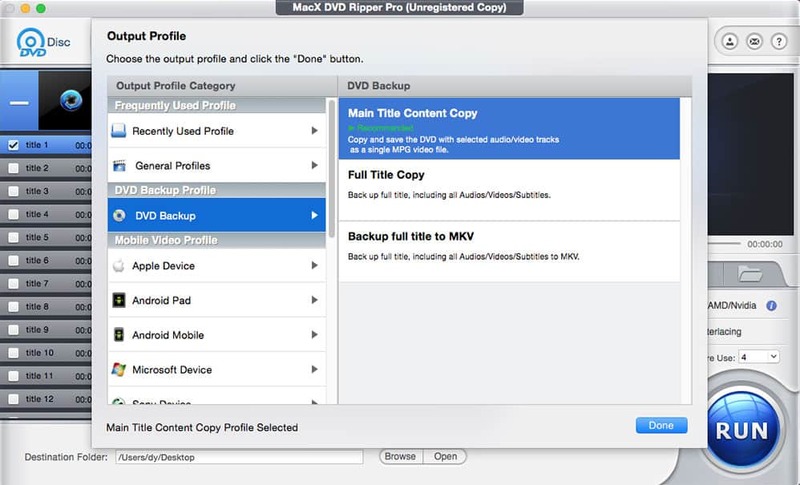 MacX DVD Ripper Pro is the best DVD decoder for you to decrypt DVD with any encryption tech (Disney DRM & Sony ARccOS) and decode DVD to various video formats (MP4, MOV, MKV, AVI, FLV, etc) and portable devices with original quality.